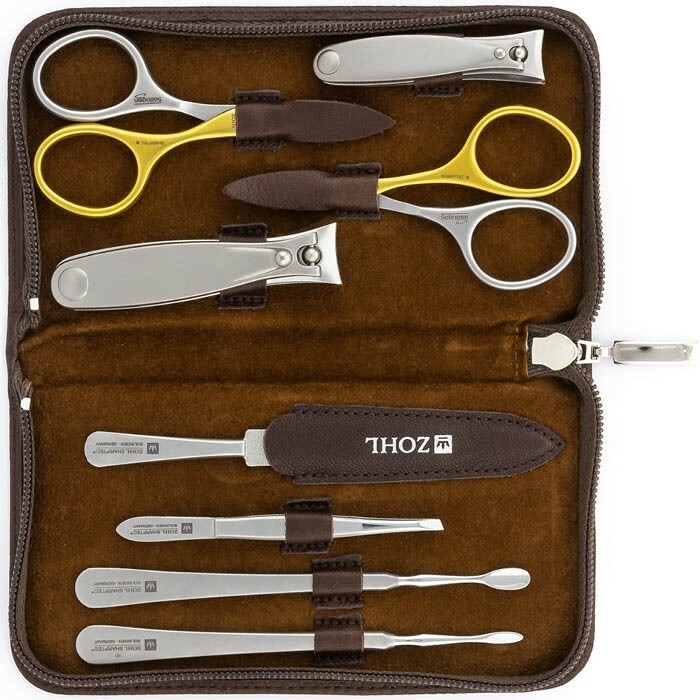 For the discerning customer who never settles for less, ZOHL introduces the winner among the world's best manicure sets – SHARPtec Duo. 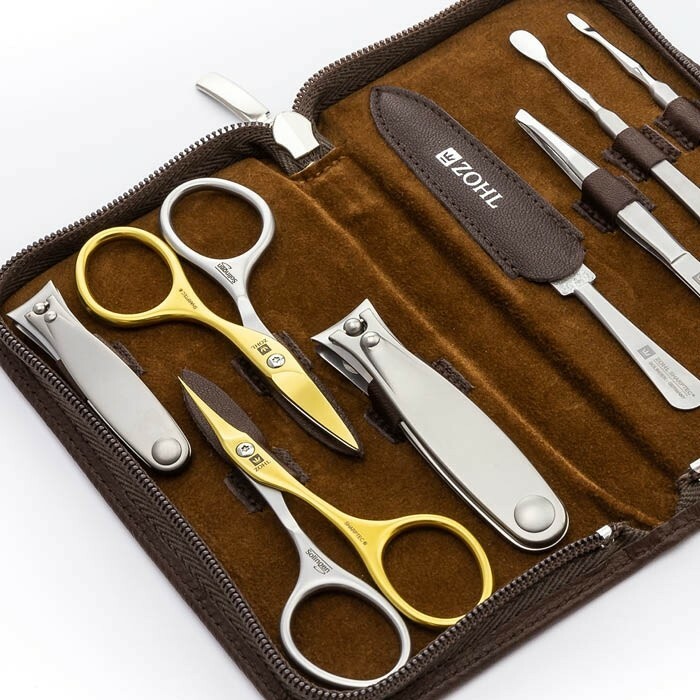 Crafted by hand in the German city of the finest cutlery Solingen, this luxury manicure set is made to give you ever lasting sharpness and precision. 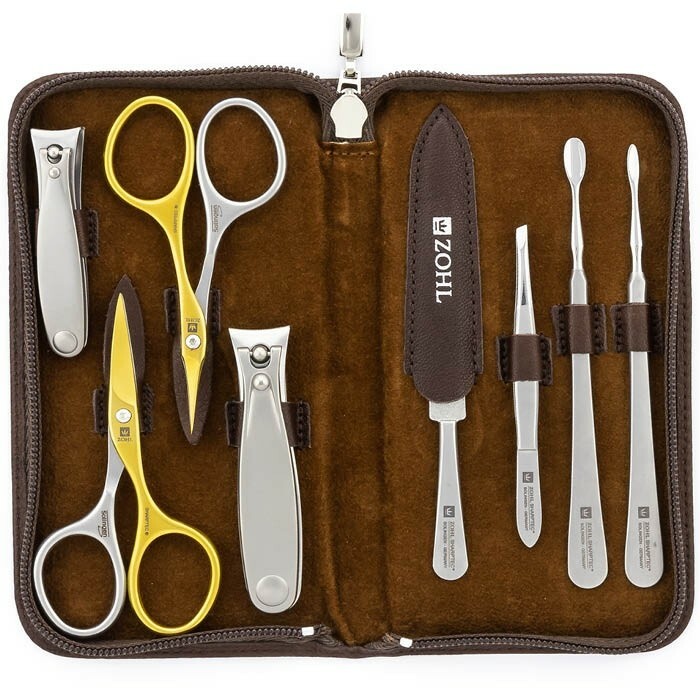 Complete with 8 highest quality nail instruments, the set features 2 pairs of professional manicure scissors with self-sharpening effect, which means they will last twice longer without any need of sharpening. Solingen nail clippers and other nail detailing tools are made of very strong surgical steel and will delight with clean cut without breaking or damaging your nails. 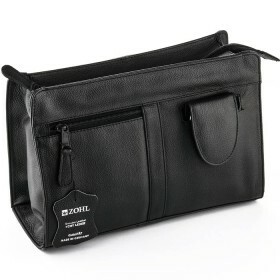 Premium quality nail tools come in a sleek leather case in warm chocolate colour with metal zipper for easy transport. 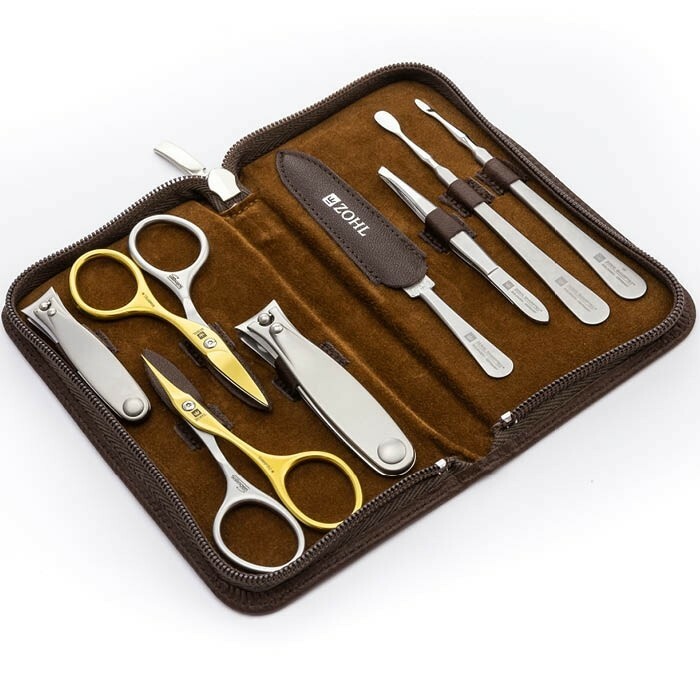 Authentic Made in Germany manicure set Premier is ideal for manicure and pedicure and makes a perfect gift for any occasion: Christmas, Birthday, Father's Day or Mother's Day. 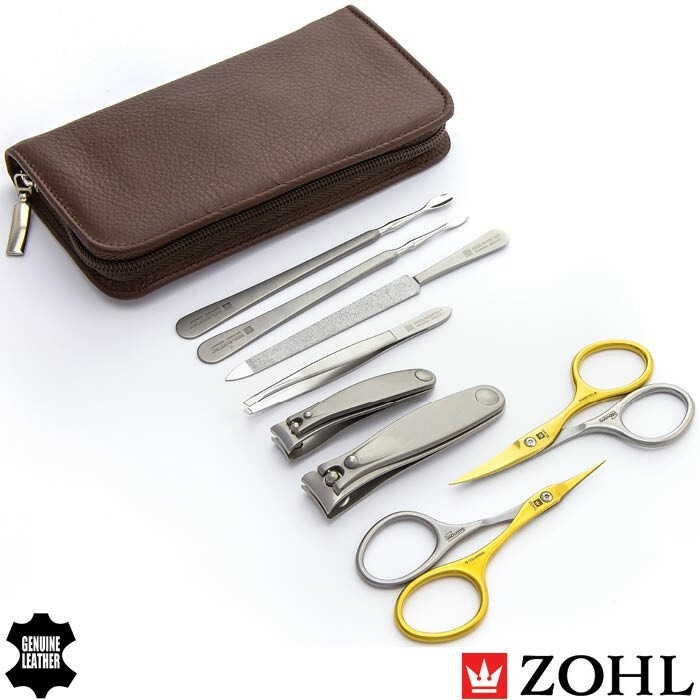 Maintain your fingers and toes with the highest quality manicure set SHARPtec Duo by Zohl. 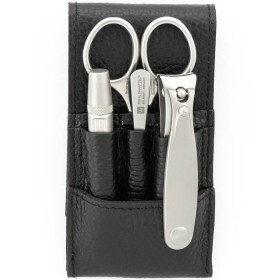 It is made for customers who value undoubtedly best nail clippers and cutters that delight with enduring sharpness and precision through many years of regular use. 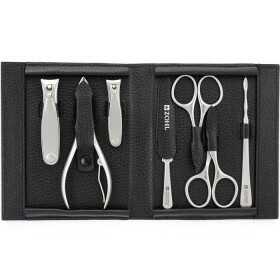 The manicure set is comprised of 8 professional nail care instruments made of very strong grade stainless steel. The benefit of such steel is that it keeps blades sharp for a very long time, so you don't need to worry about re-sharpening and can enjoy smooth and effective nail trimming, even of thick nails. 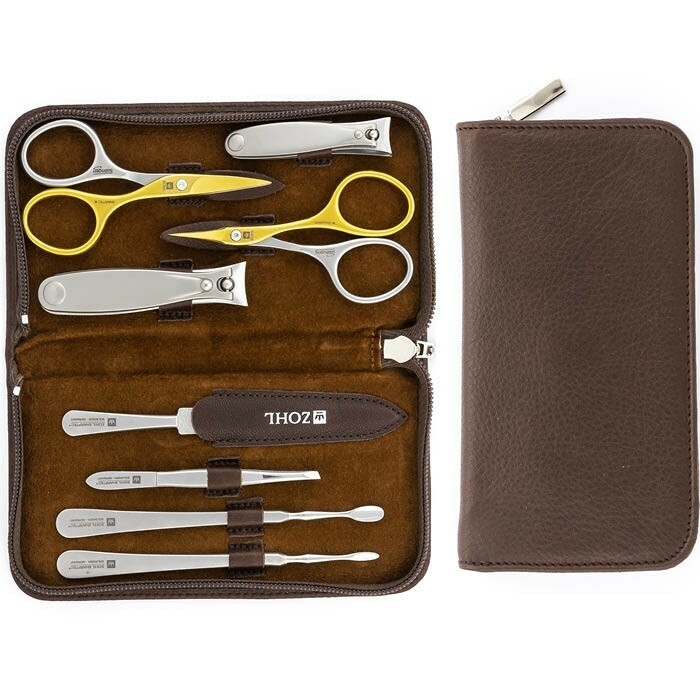 Distinctive in every way, the SHARPtec Duo manicure set includes 2 pairs of Solingen manicure scissors with a titanium blade. Titanium is harder than stainless steel and with every opening and closing the blades are primed for a perfect cut. This self-sharpening effect gives the scissors two lifetimes and will delight with a super neat and easy cut. 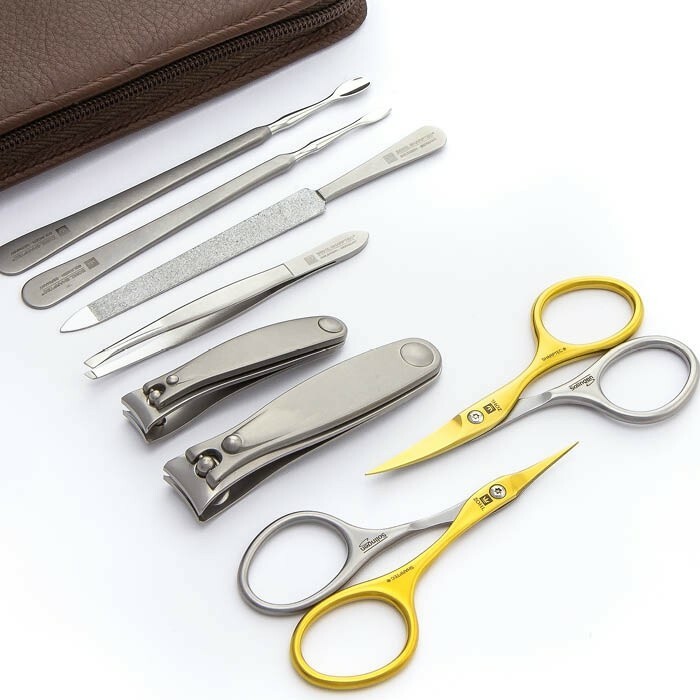 Like all SHARPtec manicure and pedicure instruments, all tools in this set are lovingly crafted in Solingen, Germany. Solingen has been the motherland of the world's best knives, blades and swords since the 14th century, and its craftsmanship is carefully protected by the German Government. Only a handful of manufacturers are entitled to label their products as Qualitat Made in Solingen. 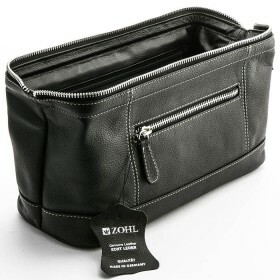 And this luxury Solingen manicure set by ZOHL is one of a kind authentic German product. 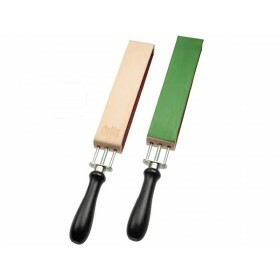 Nail Cleaner (12cm) with ergonomic non-slip grip. 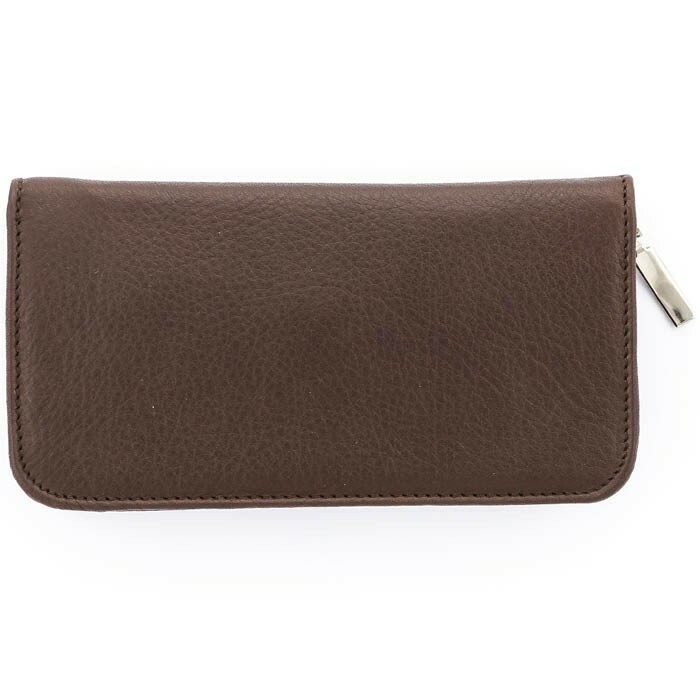 Luxury leather case in warm brown tone completes the premium look and quality of the contents, making Premier the gift of good taste for yourself or someone special. If you are looking for the best gift with guaranteed long lasting service, the SHARPtec Duo is the perfect manicure gift set for men and women who trust their nails only to the best nail tools. Case dimensions (closed): 16 x 8.5 x 1.5cm. 13 x 8 x 1.5cm.